On November 16, Samuel Bak Museum was solemnly opened as the new branch of the Vilna Gaon State Jewish Museum. 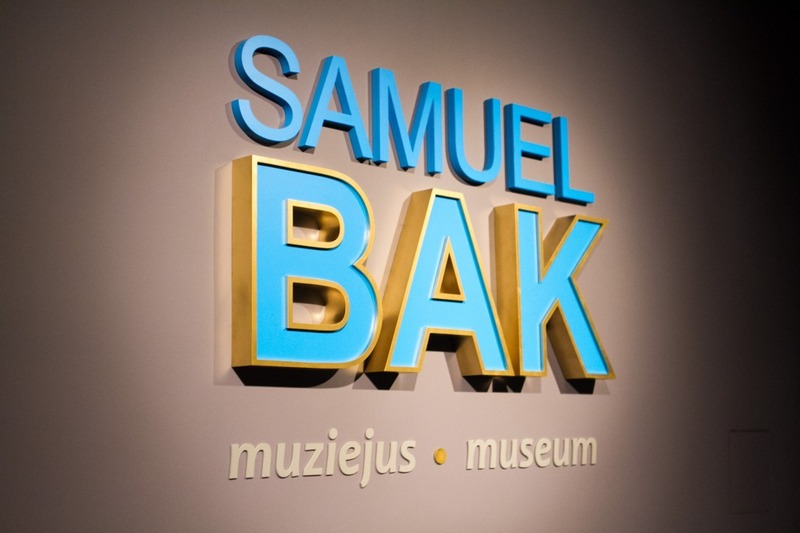 In the near future, another expositional space along with educational center will be established in the Samuel Bak Museum. Many prominent statesmen, art and cultural workers as well as foreign diplomats and guests attended the Museum’s opening ceremony. Speeches were delivered by Samuel Bak himself, Markas Zingeris, Director of the Vilna Gaon State Jewish Museum, Liana Ruokytė-Jonsson, Minister of Culture, Remigijus Šimašius, Mayor of Vilnius, Emanuelis Zingeris, Parliamentarian, and Anne Hall, ambassador of the U.S. in Lithuania. Designer Viktorija Sideraitė-Alon presented the concept of Samuel Bak Museum and Deividas Matulionis, Advisor to the Prime Minister, read the greeting letter signed by the Prime Minister Saulius Skvernelis. Please find the excerpt of Samuel Bak’s speech below. „I am at an age in which most of my future is behind my back. And I can happily smile because I was very lucky. My art is appreciated. It provides me with a decent living and allows me to create in full liberty. It has granted me prizes, awards, and honorary doctorates, wonderful recognitions of achievement. But whenever it happened – I felt alone. You are kindly invited to visit Samuel Bak Museum, located on Naugarduko St. 10/2, Vilnius, as well as participate in the meeting with the internationally renowned Litvak painter Samuel Bak on November 20 at 5.30 p.m. Moments of opening event. Photo credit: Jokūbas Jarmalavičius.